This is a giveaway and a half; one new restaurant is celebrating throwing open its doors by giving out FREE food for three days in a row. 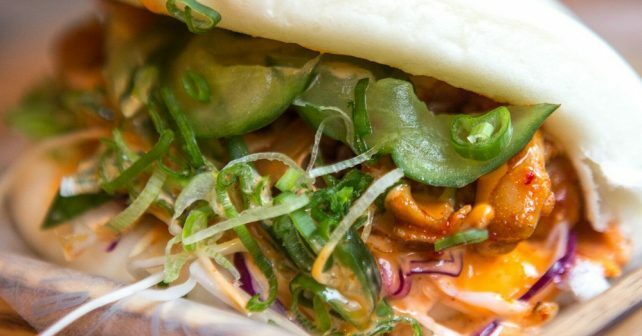 Korean street food restaurant, On The Bab Soho is planning to dish out a free serving of piping hot Bibimpab on the Wednesday, gratis Bao buns (pictured above) on Thursday and Asian-style wraps on Friday. It’s all to mark the opening of the Asian brand’s fourth London hotspot ; the brand already jas three branches in Covent Garden, Shoreditch and St Paul’s. In addition, there’s even more ways to win. One lucky person who shows up for one of the freebies might also win a ‘Golden Key’; a £50 voucher to spend at the Soho spot when you fancy. It could be you!